We get asked a lot here at the Fit Father Project whether it is possible to keep building muscle after 50. Our answer is always an enthusiastically resounding YES! With that good news, I want to show you exactly how it’s possible to pack on lean mass well into your 50s, 60s & beyond. And I'm going to show you EXACTLY what you can start doing TODAY to make a lean, muscular & ageless body a reality. In this “Definitive Guide to Building Muscle After 50”, you and I are going to cover every part of building muscle after 50, and get you started immediately on the proper strategies. And we're going to put these key steps into a daily action plan that you can start this week. As a sneak-peek, if you'd like to learn the 5 best muscle building exercises for men 50+, click here to watch this free video. Fair warning: This guide is much more extensive than the generic articles cluttering the internet with cookie-cutter advice. If you don't have 10-minutes to read this guide now, bookmark it and come back later. Maintaining muscle mass in your 50s, 60s & 70s has so many benefits that can help you in virtually every area of life. More lean muscle naturally helps you burn more fat at rest. Lean muscle makes you naturally stronger. More lean muscle will give you more stamina. In most cases, adding lean muscle makes your body look aesthetically better. So, without further ado, let’s get stuck in and get you started on your journey to building muscle after 50…. As we get older, it becomes even more important that our workouts are designed around using the most effective muscle building “compound exercises” available. Unlike “isolation exercises” which involve single, typically-smaller muscle groups (i.e. biceps curls, shoulder raises, chest flys), compound exercises work multiple large muscle groups simultaneously – making them (much) more effective for building muscle after 50. It's true. These are the most effective, research-backed muscle building exercises. However, what becomes even more important as we're in our 40s, 50s, & 60s, is making sure that we modify these effective compound exercises to make them safer on our aging knees, shoulders, and backs. Barbell Bent Over Row – This is a key exercise for a wide back and big arms; however, you need to modify it to be safe on your low-back. Deadlift – This is the “king” of all exercises for full-body muscle gains; however, you need the proper form to ensure your back stays safe. Overhead Press – This is a key exercise for strong, broad shoulders; however, we need to modify these to keep your shoulders safe. Squat – This is the other “king” of all full-body muscle building exercises; however, you need the proper form to keep your knees and back safe. These are the same compound exercises that have been used by bodybuilders, strongmen and strength athletes for decades to increase muscle size, strength and endurance. As far as building muscle goes, these are the Holy Grail exercises. Completing workout programs that include these 5 exercises will have you moving towards your goals of building muscle after 50 in no time at all. FREE RESOURCE: If you want to see a video demonstration of these 5 exercises and learn a few “pro tip” pointers and tips to make them even more effective, check out our new FREE video guide – ‘5 Best Muscle Building Exercises for Men 40+' + How To Do Them Safely for Aging Joints. How many sets & reps should I be doing? As the first rule of thumb, we recommend you do a workout in each of these rep ranges 1x/week – so you'd ideally have a heavy day, moderate day, and light day for each major muscle group. These set guidelines are a really good starting point for building muscle after 50. Remember: More is not always better when it comes to muscle-building! In fact, many guys make the mistake of doing way too many sets per body-part each week. Effective exercise creates the stimulation for your body to build muscle, but your muscle growth actually happens outside of the gym while you're eating, sleeping, and recovery. Muscle building works a lot like calling an elevator down. Once you “hit the button” (with the optimal number of quality sets), jamming on the button further (with more sets) is not going to make the elevator come any faster. It's simply going to hurt your finger, annoy you, and potentially cause an even longer recovery period than is needed. Schedule your muscle building workouts each week like you would schedule a business meeting or a doctor's appointment. Start with your 3 weight training workouts, spaced 2 days apart. Gradually include light physical activity into your rest days for active recovery, working up to full cardio sessions as you get fitter. If you are fit enough to include these from the start, please do! Keep a log of your workouts, so you can see your progression and make sure you increase your weights as often as you can (lifting progressively heavier weights is absolutely essential for muscle building). Getting your nutrition right can mean the difference between looking big and ‘bulky' or big and ‘lean'. It’s not enough to just exercise and expect to see your muscles grow. There is a whole process that's needed for it to happen, with nutrition playing a big role. Key Point #1: The foundation of proper nutrition for building muscle after 50 is that you need to consume more quality calories than you burn each day to promote growth. That said, your eating plan needs to be controlled enough that you don’t overload on the wrong calories (or too many calories) and end up getting fat & flabby instead of muscular & defined. As a good rule of thumb, you should aim for a maximum of 300-500 calories over your average daily calorie expenditure each day. You can calculate your average daily calorie expenditure here Free Fit Father Muscle Building Calorie Calculator Tool. Again, you can use our free muscle building calculator here to determine how many calories and grams of protein, carbs, and fats you generally should be eating each day. This balanced macronutrient breakdown will make sure you're getting enough Protein to support muscle growth, enough healthy carbs for energy, and enough healthy fats for energy and maintaining good testosterone levels. Chicken, Turkey, Eggs, Sardines, Lean beef, Protein powder. Brown Rice, Quinoa, Wholemeal Pasta, Sweet Potatoes. Avocado, 1 tsp. Olive Oil, Coconut Oil, Omega 3. Broccoli, Spinach, Kale, Carrots, Beets. To make sure you are consuming enough calories, you will likely need to eat around 4-5 times per day, although eating that frequently is not necessary for building muscle – as long as you're getting the proper number of carbs, proteins, & healthy fats. DON’T PANIC! Eating 4-5 times per day is not as difficult as it sounds – even if you're a very busy guy like I am. If you don't have time to prepare a full snack, 2 of your meals can simply be in the form of a Protein shake or a meal replacement bar + a piece of fruit or vegetable. Cook 3 days’ worth of food for your meals on Sunday and store for the week. Select your foods and prep your meals according to your calorie intake guidelines, ready for the next day, into individual food storage boxes. Once these steps become a habit, you’ll notice how much time and worry it saves you in sticking to a clean diet. This nutritional approach is one of the main reasons we have helped so many men here at the Fit Father Project build sustainable healthy eating habits. See our program member results here. If you'd like to take ALL the guesswork out of muscle building nutrition for you as a man 50+, then you may want to check out our complete ‘done for you' muscle meal plan, that we include in our Old School Muscle Program. Use These Proven Supplements to Maximize Muscle Growth. Using supplements is a way of boosting your muscle building capacity, by getting enough of the “right stuff” into your muscles at the right times. Unlike lots of fitness sites and programs, we don’t push supplements. Supplements, as the name implies, as “supplemental.” They are only truly effective when you have the proper eating, exercise, and sleep plan in place. Creatine one of the most thoroughly researched, safe, and effective supplements for muscle building and strength gains (1, 2, 3, 4, 5). Supplementing with creatine basically “tops up” the levels of creatine your body naturally produces – enabling your muscles to have more energy to lift heavier weights. Because our muscles use Creatine to produce energy during short, high-intensity activities, especially weight training, supplementing with Creatine will help you to lift heavier weights and subsequently grow more. You can take Creatine in two ways. Method #2: Or you can use the gradual approach and take 5g in your post workout shake on the maintenance dose continually. Special Note #1: Creatine is best taken with your post-workout protein shake for better absorption. Special Note #2: Make sure to buy the basic Creatine Monohydrate. Do not be fooled by “fancy” forms of creatine that often go by names like (Effervescent Creatine, Creatine Di-Malate, Creatine Ethyl Ester). The research shows that these alternate Creatine forms are not as effective as basic Creatine Monohydrate. Where to buy Creatine: Thankfully, Creatine Monohydrate is widely available from any good fitness store in your local area, or you can buy online at Amazon or another reputable supplier. Your body requires a combination of nearly 200+ vitamins, minerals, co-factors, and phytonutrients to function optimally. Do you think you're getting all these nutrients from the food you're currently eating? The hard truth is that even if you have a solid muscle-building diet that contains lots of organic meats, fruits, veggies, and quality carbs, it's still important to ensure you're providing your body with EVERYTHING it needs to function optimally. Use a multi-vitamin or green's superfood supplement as your “nutrition insurance policy” to ensure that you're getting all the micronutrients you need to support building muscle after 50. For me, and the thousands of guys over 50 that we help in our Old School Muscle Building Progam, including a full-spectrum multi-vitamin/mineral supplement this is an absolute “no-brainer” decision. For less than $1/day, a quality multi-vitamin can ensure you're getting all the key vitamins and minerals you need for optimum building muscle after 50. Like Creatine, Multi-vitamins are available from many good suppliers, both in bricks-and-mortar stores or online. There are many brands available, but a one-a-day type is usually best for convenience. Most brands are comparative, so again, they don’t need to be fancy. Although we have suggested a Multi-Vitamin above, we also recommend supplementing separately with Vitamin D3 as many men are deficient in it and require a larger boost than that of most vitamins. New research on Vitamin D3 shows that it's an extremely important vitamin for immune function, protecting against cancer, improving heart health, improving bone and brain health, and even boosting testosterone levels (5, 6, 7, 8). Building muscle after 50 is important. Staying healthy while you're doing it is just as important. That's why Vitamin D3 is something that we consider an essential supplement for guys over 50. Now, the reason many guys need to supplement with D3 is that most guys are deficient. New research shows that over 75% of men living in the United States may be deficient in D3, largely because of stress (which burns through our bodies' D3 stores), not getting enough sunshine, or living above the 37 degrees latitude where our skin can't make Vitamin D3 from the sunlight (9). I haven't seen the specific deficiency data for the UK, Australia, or NZ, but I'm confident the trend is similar. Because of Vitamin D3's massive health benefits (and it's common deficiency), this is one supplement we can safely say will help your goals of building muscle after 50. Like all the other supplements in this list, Vitamin D3 is safe, very affordable, and available from many online and local vendors. Supplementing with protein powders is fundamental for men that are training for muscle gain. As I have mentioned in Step #2 of this guide, protein powder will be a convenient way of enabling you to hit your protein and healthy calorie goals throughout the day. Due to absorption rates of different types of protein, we recommend you use a mixture of Whey and Casein for both your post-workout shakes and pre-bed meals. Blended protein powder products are available, but if you would prefer to mix your own, you can purchase them separately and mix 50/50 at each use. Either way is just as efficient. Want a step-by-step muscle building plan? We cover the full meal plan (including: whole food recipes, convenient shakes, & full supplement stack) along with the proper 9-week workout program inside our Old School Muscle Program. Take your Multi-Vitamin and Vitamin D3 with your breakfast. Take 5g creatine immediately after your workout with your protein shake (or first thing in the morning on your rest days). Use your protein powder as both a meal replacement and a post-workout shake. Use a blend of Whey and Casein if possible for a mix of fast and slow absorption proteins. Hydration Is One of The Most Important “Missing Pieces” of The Muscle Building Puzzle For Men Over 50. Keeping yourself hydrated throughout the day is another key part of both building lean muscle and healthy living in general. With over 60% of your body being made up of water, the importance of taking in enough water each day cannot be expressed too much. The average man requires 3 liters of water per day, some of which will be ingested from food. I would recommend aiming for the 2.5 – 3.0 liters through purely drinking ordinary water though, especially if you are exercising. Regulates your internal body temperature by making you sweat. Metabolises and transports carbohydrates and proteins, that your body uses as food, through your bloodstream. Assists in flushing waste through your body, mainly through urination. Acts as a shock absorber for your brain and spinal cord. The process of metabolising fat into energy is done primarily by your liver. Making sure your water intake is high enough each day eases the work your liver needs to do, leaving it more active to complete this fat metabolism. So, more water = happier and better functioning liver = More metabolised fat! Drink 16-32 oz water first thing in the morning, to re-energize. Drink 2.5 litres of water each day, increasing to 3 litres on days you are exercising. Pro Tip: Filling up a bottle or jug each morning and making sure you drink it all by the end of the day is a good way to keep yourself accountable. Getting enough sleep and adequate rest is almost as close in importance to building muscle, as exercising and eating right is. Sleep is an essential part of your training program as a guy over 50. In fact, it's nearly as important as your exercise regimen. That may sound like a bold statement, so allow me to explain. As you age, your body’s natural recovery and repair rate drop, meaning that what would normally take you 24 – 36 hours to repair in your 20’s and early 30’s will now take much longer, mostly between 48 – 72 hours. Making the most of your recovery during this time will allow muscles to repair and grow to their fullest potential, ready to go and be re-stimulated in your next training session. Sleep is the cornerstone of your post-exercise recovery. More than just natural rest of your muscles, sleep also controls the key hormones that help or hinder muscle building progress. HGH (Human Growth Hormone) is released during deep sleep, which is the hormone mainly responsible for cell growth and regeneration. Without adequate sleep, you will limit the effect of HGH on your body and your muscles. Other hormonal increases include that of testosterone and melatonin, which both also play an important role in the repair and regeneration of cells. Lack of sleep will cause problems with the release of these hormones, and you will not be able to repair the micro-damage caused by the workouts you are undertaking. 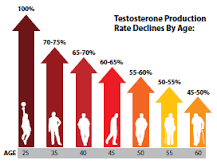 As we age, our natural production of testosterone and melatonin DECREASE year by year. If we miss sleep, our hormone levels plummet even further. For the fastest muscle growth, make sure you get minimum 7 hours sleep each night, preferably 8 hours. Your body will not grow muscle if you're not sleeping enough. What Other “Special Considerations” Are There for Building Muscle As A Man Over 50? The main consideration to make when you are attempting to build muscle after 50, is that your body no longer works in the same way as it did in your 20’s and early 30’s. You need to understand that training in your 50’s needs to be different, which is why we are supplying you this information today. It is still VERY possible to make the same gains, but the way in which you go about it will differ from back then. Loss of natural muscle mass. Wear and tear of our joints. Testosterone levels start to dip. … you can rest easy because ALL of them can be slowed or stopped by a good weight training program that adds lean, strong muscle to your body. This is Sonny Bryant at 72 years young. He started body building in his 40s. Lots of guys believe that after 40, let alone 50, your potential for adding muscle is over. This is simply NOT TRUE, and the pictures on the right are proof. These are guys that have started and continued to add solid muscle well into their 50’s, 60’s, 70’s and over! These men are not freaks or unnatural experiments. They are everyday guys that know there is a way to gain muscle, be strong and exercise safely, no matter what age you are. The Old School secrets of muscle building are making a resurgence following recent scientific research proving that the way of the ‘old guys' is actually more effective than the bro splits used by the ‘young guns'. The legendary Frank Zane is still training hard and looking incredible well into his 70s using principles you've learned in this guide. If you liked this, please share it! We have centred our new program ‘Old School Muscle' around these principles and methods that were used back in the day, by the giants of the iron game. Bodybuilders like Frank Zane, Reg Park, and Steve Reeves swore by these methods to build lean, solid muscle to their frames. I know you can follow in their footsteps and shape your body to look like the man you have always wanted to be. I wish you the best of luck on your journey to building muscle over 50! The 5 Best Muscle Building Exercises For Guys 40+ (And How To Do Them Safely) – Watch this video here. I can't wait to hear about your progress with these proven muscle building strategies. Bragging Rights: 16 Years in the fitness industry, Author of ‘The Easy Fitness Guide', Father of 4 boys and Husband to a Venezuelan beauty. *Always remember weight loss, health changes/improvements, & muscle building results vary from individual to individual. Just because these studies cite certain data does not mean you will experience these results/outcomes. Always consult with your doctor before making decisions about your health. 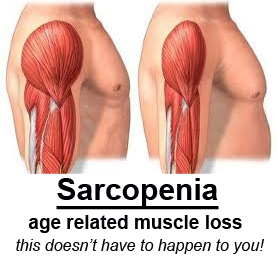 This is not medical advice – simply well-researched information about building muscle after 50. Thanks for reading!